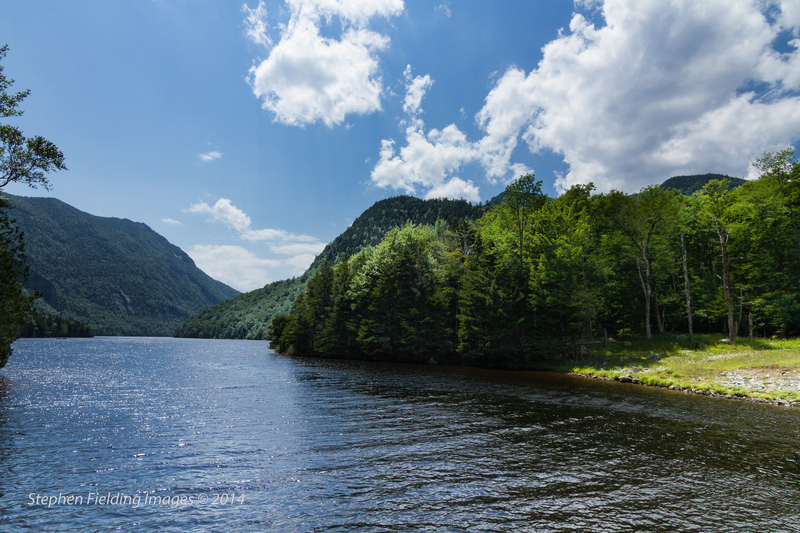 I’m always drawn to the mountains, first, to the White and Green Mountains of New England, and the Adirondacks over the past twenty years. 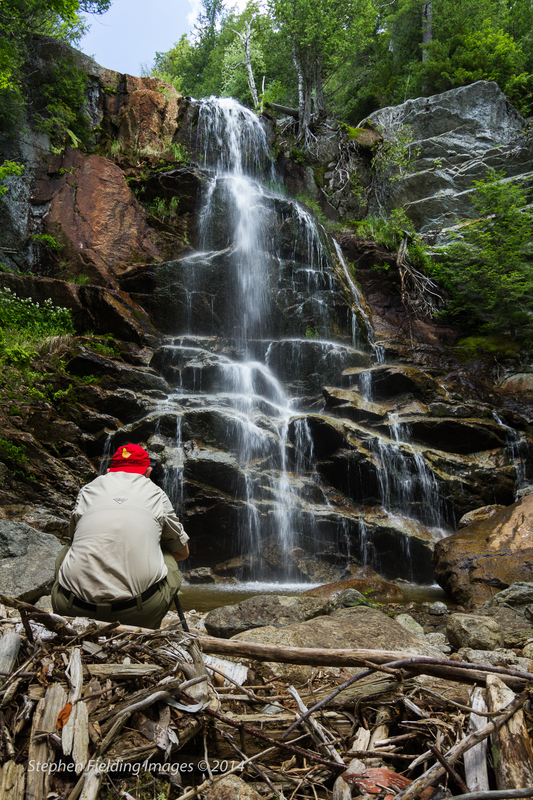 Hiking in the mountains requires that you be in reasonably good shape. My mountain watch words are: food, water, energy, and weather (along with protection from the latter). Failure on any of these can result in serious consequences. Most people know this, which is at least one reason why the trails are not crowded (though the trail head parking lots certainly are on summer week-ends). 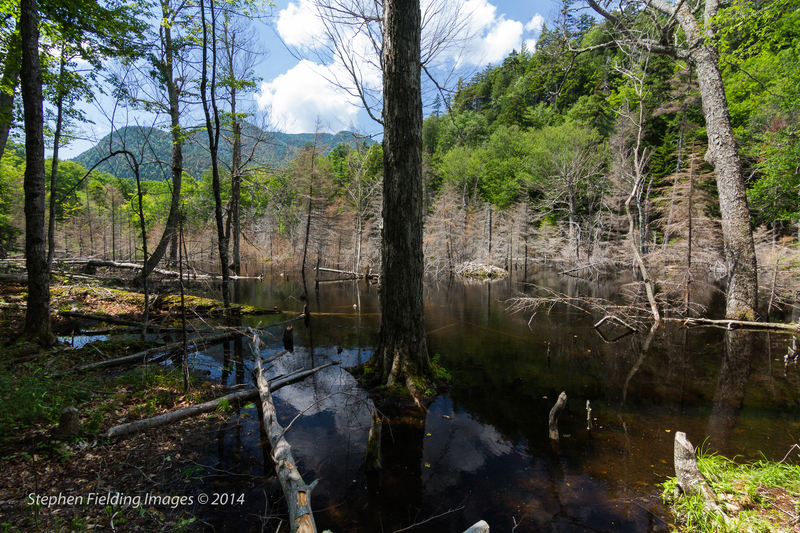 After a five-hour ride and checking in, we went off to explore the South Meadows area of the High Peaks. 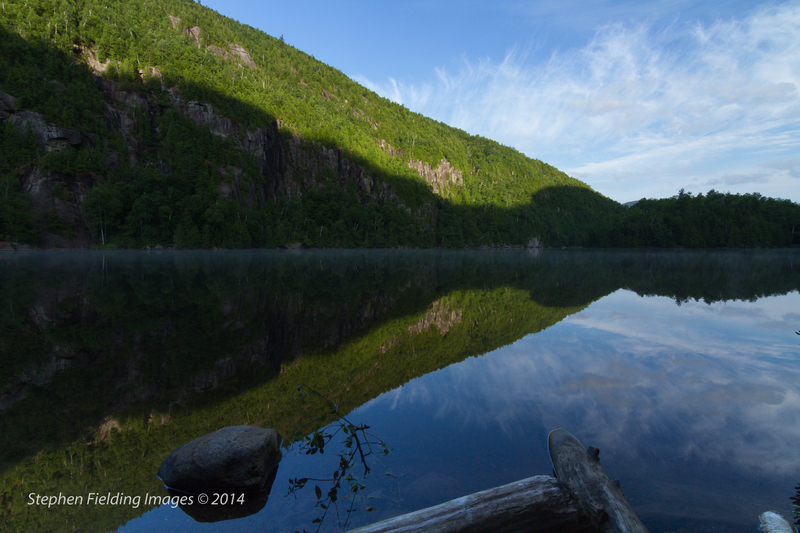 It turned out to be a real dud for photography–too many trees. Although I didn’t realize it when I planned the trip, this week-end would include the rise of a super moon on Saturday at the reasonable hour of 8:30 PM. 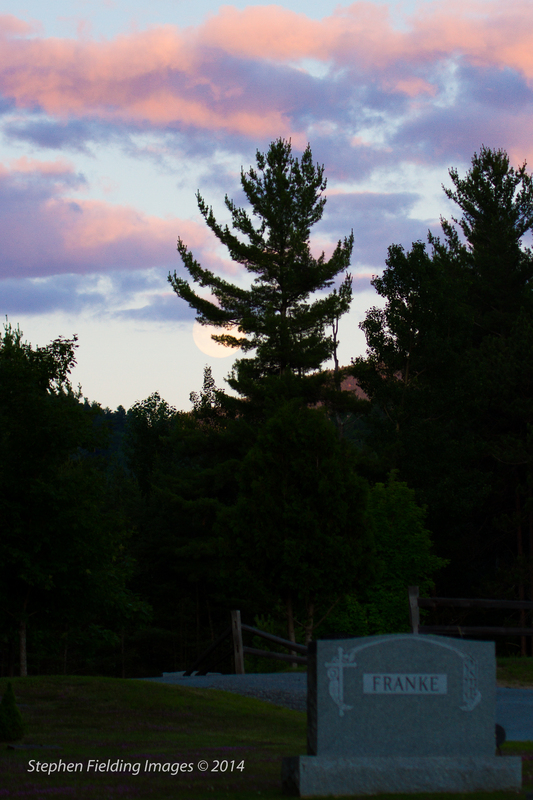 We knew the moon would rise at 112° shortly after sundown on July 11 so the local cemetery seemed the perfect place. Unfortunately, there were a few trees in the way (the Adirondacks are loaded with them), as you can see in the above photo. We picked a better place on Saturday. Unfortunately, it was cloudier than expected. Forty-five minutes after moonrise we saw nothing. The mosquitoes were vicious so we packed it in. 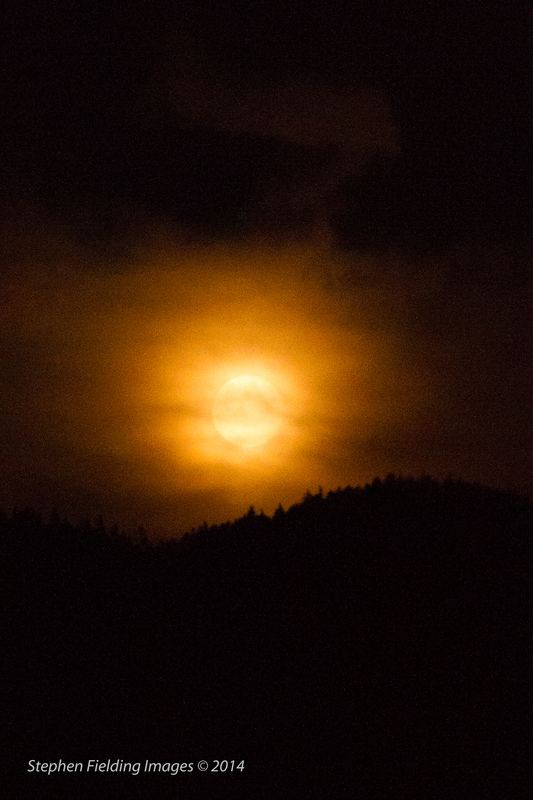 Just as we were leaving, we saw the moon break the ridge! We jumped out, set up, and I got one shot before the moon became almost completely obscured. My friend set up a minute earlier than I, and he got the better shot! Back track to dawn of that morning. 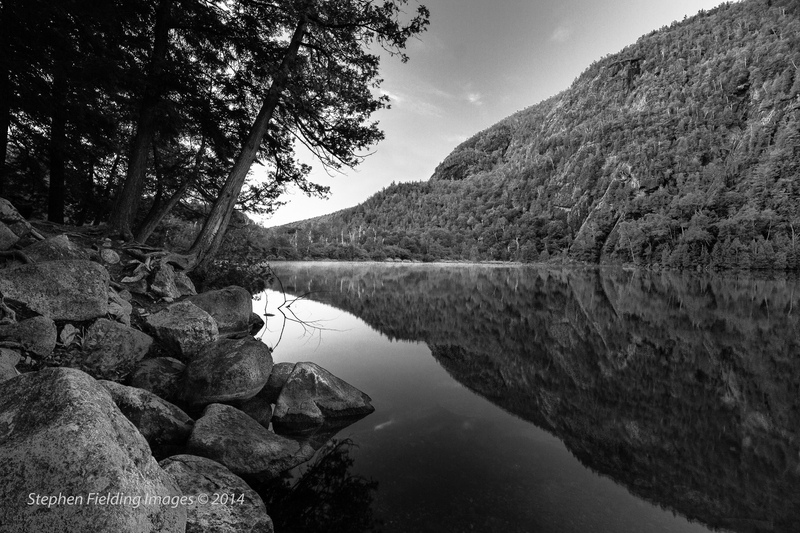 We managed to get to Chapel Pond where we got a number of shots, here are two, one in B + W and one in color. After shooting, we went back to the local diner and got some breakfast. Thereafter we headed to the Adirondack Mountain Reserve Club. These are private lands that allow hiking on designated trails. 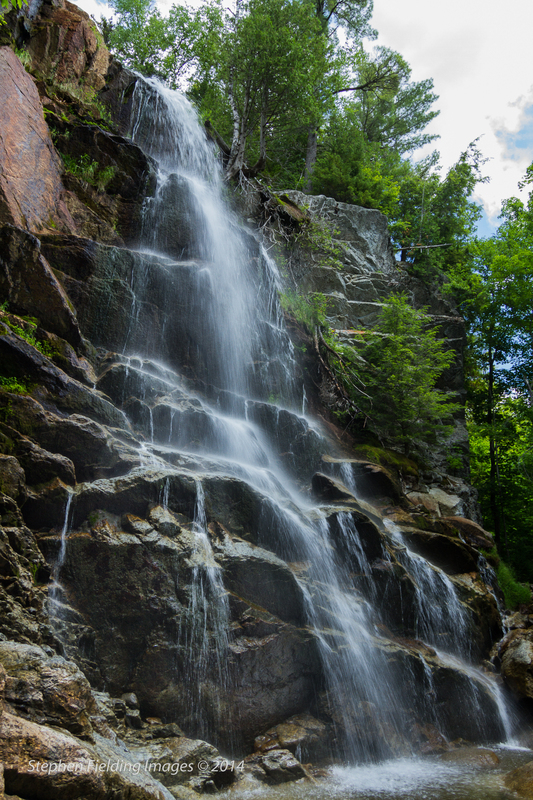 We hiked portions of its East and West Ausable River trails where upon we came to the South Meadows Falls. That’s my friend, immortalized in the red hat. A little further down the trail we came to a beaver pond, complete with beaver hut. Boy, these guys were busy, but I guess . . . .
We continued on and finally came to the Lower Ausable Lake, as shown in the photo, below. Thereafter, we returned to the trail head via the club’s dirt road. This hike was sentimental since it was my wife’s and I last hike together. We never finished that hike, because my back was bothering me. My friend and I easily finished.